It is not the first book about the great actress. There is the 1998 biography by John Miller. But in this volume Dench fills in many of the gaps in her own words and so we get a frank and funny account of what it’s like performing on stage, in a film as well as on television. She does not drop names for the sake of it, but this book is really the story of theatre on both sides of the Atlantic for the last 50 years. 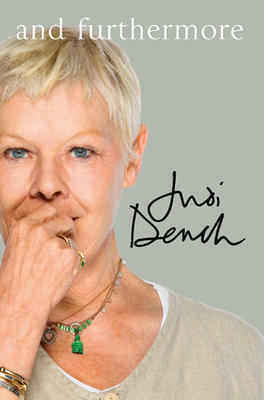 Judi Dench went on to give indelible performances in the classics as well as some of the greatest plays and musicals of the 20th century. She is still acting as anyone knows who catches her in the long-running BBC series “As Time Goes By” with Geoffrey Palmer. This book gives a closer picture of the great actress, with the story of her happy marriage to actor Michael Williams, her actress daughter Finty Williams and grandson Sammy. There are many charming photos. The book has no conceit, just a sharp intelligence and endless sense of humour. Be sure to come down to Books on Beechwood on Saturday, June 25 between 1:00 and 3:00pm to meet authors Barbara Florio Graham and Hilda Young. They will both be here in the store signing their new book “Prose to Go: Tales from a Private Life,” a collection of stories that give us a sneak peek into the private lives of 18 professional writers from North West Territories to Prince Edward Island. “Drive through the Northwest Territories with Helena Katz as she brings a herd of alpacas to their new home in her back yard. Join Trudy Kelly Forsythe at the Rolling Stones’ Big Band Tour, and Barbara Florio Graham in her encounter with actor Peter Falk (aka Columbo). Watch award-winning humorist Steve Pitt deal with cherry stealing kids, and award-winning cookbook author Julie Watson wrestle with a lobster on TV. Climb inside a Santa suit with broadcaster/humorist Gordon Gibb, and see a Christmas tree from Helen Lammers-Helps’ vantage point. Experience birth from an infant’s point of view, in a mesmerizing piece by Elle Andra-Warner. Share household hilarity with Lanny Boutin and Joanne Carnegie, while Debbie Gamble deals with body issues and Lorri Benedik with unwanted compliments. Cry with Barbara Bunce Desmeules Massobrio as she describes My Life Now, and with Hilda Young as she comes to terms with her son’s suicide. We look forward to seeing you all here on Saturday afternoon to meet these two wonderful authors! Come by, have a chat, buy a book and get it signed! See you then! Come down to Books on Beechwood on Saturday, June 18 between noon and 2:00pm to meet author Gary Miller. He will be in our store signing copies of his new book “Miller’s Tales.” The book retails at $22.50 and a portion of the proceeds will be going to the Beechwood Fire Fund for victims of the Beechwood Fire. We look forward to seeing you all on Saturday! This is the story of an accident down at the wharf of a First Nations reserve in the Maritimes. A seventeen year old Indian boy had his first job loading logs on the Dutch cargo shiop “Lutheran.” The load slipped and he was crushed. His white neighbour, also loading that day, is accused of killing him. 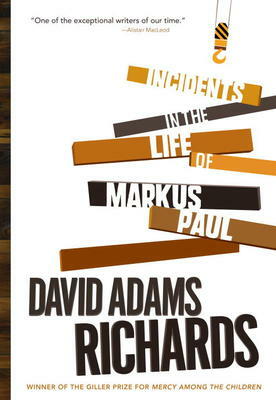 David Adams Richards devotes his book to the attitudes and prejudices of the dozens of people involved in this story. The Indian boy, unlike his peers, was heading for university to be a doctor, arousing jealousy among the less-educated boys. The white man, who lived on the very edge of the reserve boundary, had been abandoned by both parents and lived alone. He was known as a hard worker, generally, and quite well-liked by both whites and Indians. After a bitter story, he turns out to be the hero of this tale. Richards takes us into the lives of a whole variety of types: the wise old chief, the well-meaning but disliked white officials — in a way that no newspaper account can ever give of what happens on the reserves. Richards has earned his reputation for penetrating the hearts and minds of his characters in books like “The Lost Highway,” “The Friends of Meager Fortune” as well as the celebrated “Miramichi Trilogy” and “For Those Who Hunt the Wounded Down.” His new book is a fine addition to the list.